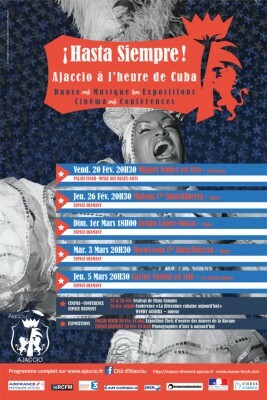 From February the city hosts one of the most important cultural events ever performed on Cuba. 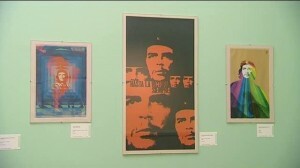 Painting, dance, film and music, the arts are represented Palais Fesh Museum and Espace Diamant. Since 2010, following the arrival of the Cuban ambassador in France, accompanied by his cultural advisors, in Ajaccio, a partnership was set up around arts and cultural projects. Cuba is a changing country where creativity is abundant, vibrant, cheerful, diverse, open to the world, and contemporary art forms that are proposed, still too little known, are both innovative, original and rooted in tradition. With the support of the Ministry of Culture of Cuba, many cultural leaders, artists and the support of the Gilbert Brownstone Foundation, an ambitious project was realized, around the large exhibition that will be conducted by the Palais Fesch Museum of Fine -Arts, for four months, Ajaccio will be the colors of Cuba. Dance, music, musical aperitifs, films, photographs, lectures, meetings with artists, filmmakers, writers … Corsican brighten winter warmth and generosity of the Caribbean.